Surgery for certain bad heart valves may soon become a thing of the past. New studies suggest it's OK and often better to have a new valve placed through a tube into an artery instead. Surgery for certain bad heart valves may soon become a thing of the past. New studies suggest it’s OK and often better to have a new valve placed through a tube into an artery instead. The results are expected to quickly transform treatment of a problem that affects millions of people — a stiff or narrowed aortic valve that doesn’t let blood pass as it should. Until recently, fixing severe cases required a major operation using a heart-lung machine while surgeons cut out the old valve and sewed in a new one. 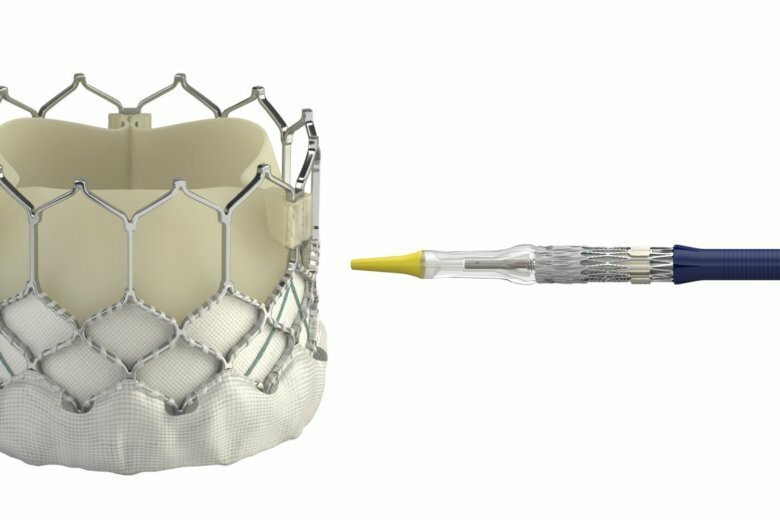 A decade ago, expandable aortic valves were developed that can be guided to the heart through a catheter into a blood vessel and placed inside the old valve. But they’re only used now in people at high or moderate risk of dying from surgery. The new studies tested these valves in people at low risk for the operation, as most patients are, and found them as good or superior to surgical ones. “This is our last frontier” to make these devices a standard of care, said Dr. Joseph Cleveland, a University of Colorado heart surgeon with no role in the studies or ties to the companies that sponsored them. “It’s a great thing” for patients to be able to avoid major surgery, he said. Results were published by the New England Journal of Medicine on Saturday and were to be discussed at an American College of Cardiology conference in New Orleans on Sunday. In one study, about 1,000 patients were given standard surgery or an expandable Edwards Lifesciences valve. After one year, 15 percent of the surgery group and 8.5 percent of the others had died, suffered a stroke or needed to be hospitalized again. In the other study, 1,400 patients were given surgery or a Medtronic expandable valve. Based on partial results, researchers estimated that after two years, 6.7 percent of the surgery group and 5.3 percent of the others had died or suffered a disabling stroke. In both studies, certain problems were more common with surgery, including major bleeding and development of a fluttering heartbeat called atrial fibrillation. In the Medtronic study, 17 percent of expandable valve recipients later required a pacemaker versus 6 percent of people who had surgery. Previous research suggests that overall costs are lower with expandable valves, which cost about $30,000 versus $5,000 for surgical ones, largely because they require much shorter hospital stays and caused fewer complications, said Cleveland, who also is a spokesman for the College of Cardiology. In the United States, surgeries to replace aortic valves have been falling. Only about 25,000 are expected to be done this year and Cleveland expects that to drop by half next year and by half again in 2021. He and other doctors say the expandable valves still need longer study to see if they hold up as well as surgical ones. Catheter-based approaches for problems with some other heart valves, such as the mitral valve, also have been developed or are in testing.